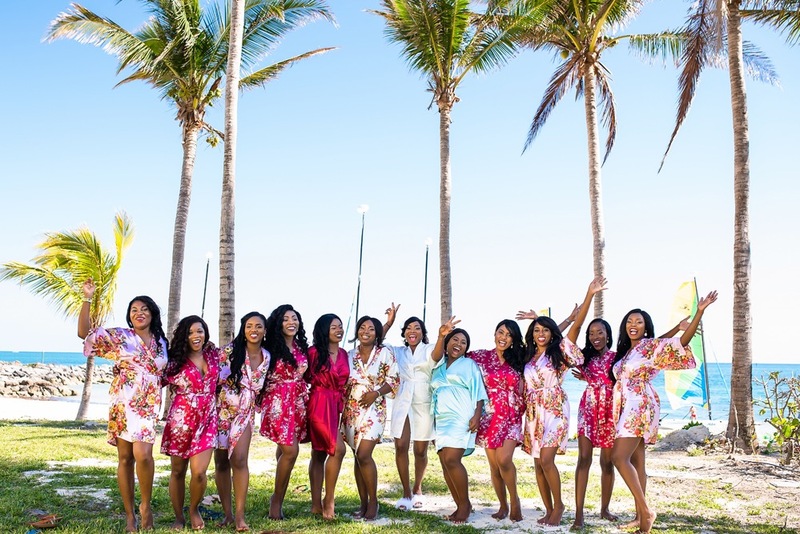 Bahamas wedding venue Grand Lucayan Beach and Golf Resort played host to Nigerian sisters, Lynda and Susan’s double wedding, Saturday February 25, 2017. Lynda and Francis and Susan and Udo said their I Dos before guests from the United States and Nigeria on the Great Lawn at Grand Lucayan, Freeport, Grand Bahama Island. The skies could not have been more clear, blue and beautiful on this sunny afternoon. Bishop Sobig Kemp performed the couples’ marriage ceremony. Both brides had six attendants each as did the grooms. 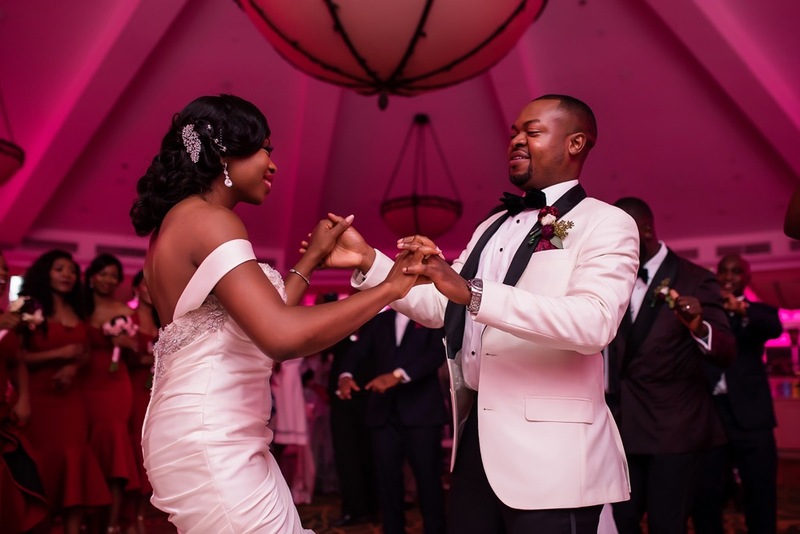 The Texas couples hosted a traditional Nigerian wedding complete with customs. Classical musicians Eva Ratuszynski accompanied by pianist GraceAnn Gibby serenaded guests as they awaited the grand couples’ arrival. A proud Dad beamed as both daughters processed down the aisle on his arms. Gorgeous blush bridesmaids dresses were enhanced with burgundy ranunculus and roses. Guests were welcomed at a fun Beach Bonfire Party the evening prior to the wedding. The black tie affair ran late into the evening. Guests were treated to a scrumptious buffet with lots of Bahamian seafood delicacies. 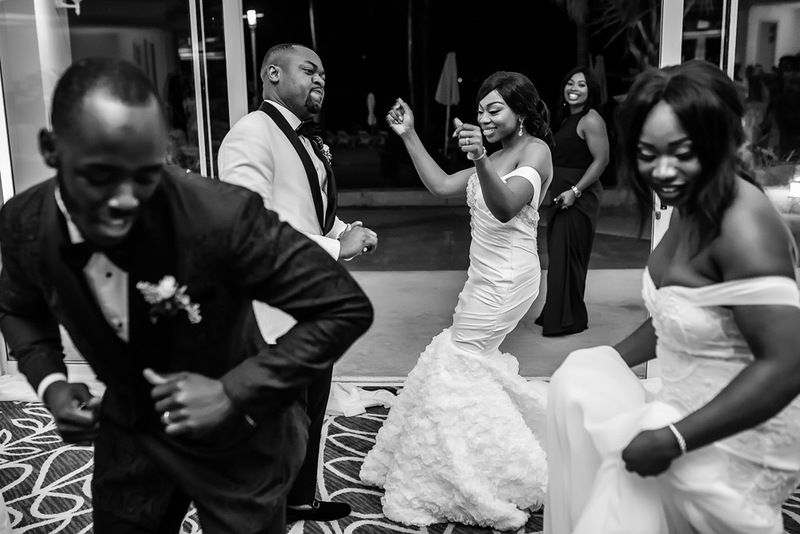 Nigerian dances, the money dance and more delighted the happy couples and guests. Lots of great fun was enjoyed by all. 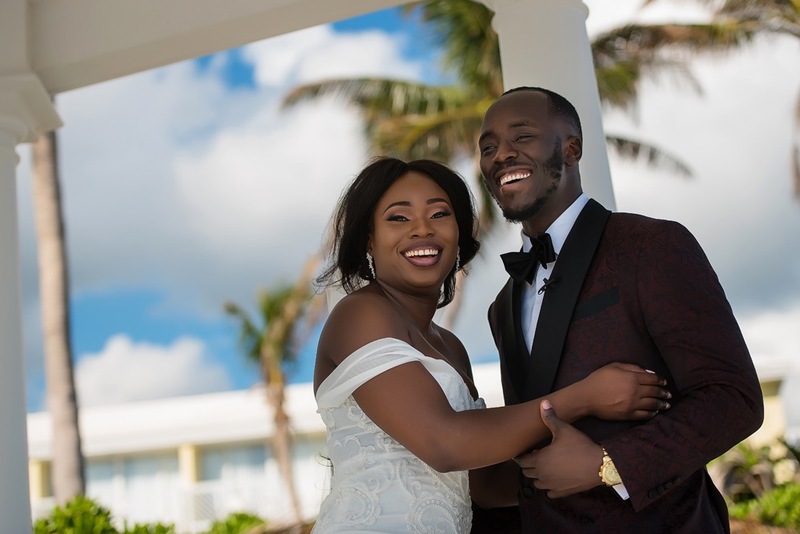 Luxury Bahamas wedding venues such as the One and Only Ocean Club, Paradise Island, The Cove Eleuthera, Gregory Town, Eleuthera and Grand Isle Resort and Spa, Great Exuma are among the stunning venues available for your wedding. Choices are many … serene, understated elegant settings amidst lush gardens. Clear, crystal blue waters in the distance. Palm trees swaying. These and more beckon you and your guests. Chic Bahamas Weddings plans destination weddings throughout the Islands of the Bahamas. We’re happy to plan your romantic, fun wedding in the Bahamas. Contact us today to begin planning your special event.